Almost two years ago, my daughter had a reaction to peanuts. She barely touched her mouth to a spoon that had had peanut butter on it, and her mouth immediately began to swell. After a night in the ER, we knew that there would be a lot of changes for our daughter and the whole family. My daughter is now almost 4, and she does not go anywhere without her epi-pen and benadryl. Although it is a necessary habit to always have these with us, it isn’t always easy to. 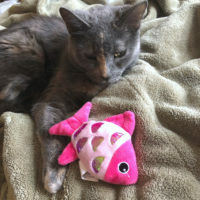 As she gets older, she is involved in a wider range of activities that makes it even more difficult, from preschool, summer camp, traveling, camping, sports, and more. I was very excited to learn about Allermates, a company created by a mom who wanted to create products to keep her child safe as well as educate and raise awareness about allergies. Allermates makes a whole line of products for families to help make dealing with allergies easier and safer. One of the items I have been using is a medicine case. These come in a variety of colors and have so many great features. 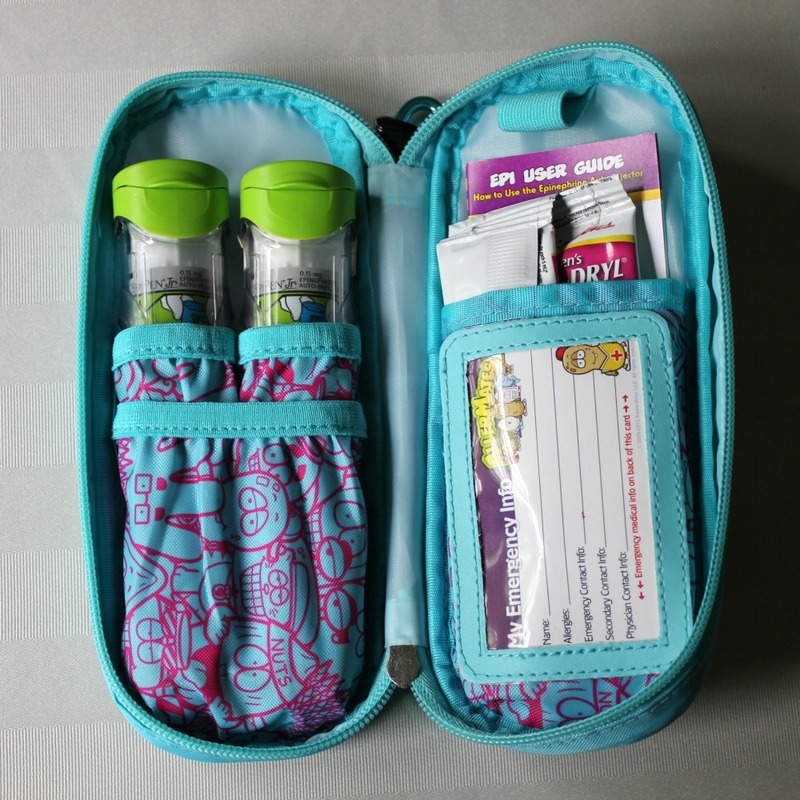 The product is perfect for us, and we use it to carry 2 epi-pens and 2 single doses of Benadryl, as well as emergency information (using their emergency contact card), a quick Epi-pen reference guide (provided by Allermates), and our doctor’s business card. It is insulated to help protect the contents, which has always been a challenge for us. It has a great compact size, and it also comes with a variety of ways to attach it (caribiner clip, removable belt, velcro loops). 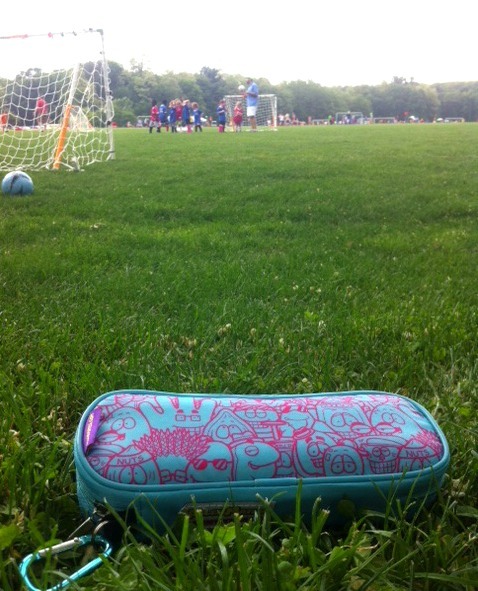 Most of the time, this case hangs out in my purse, but features like caribiner clip make it so easy to bring this along in a variety of ways, from camping to the soccer field. Before Allermates, I used a First Aid bag that was too big and disorganized, and now I can’t imagine using anything but the Allermates case! You can see the Allermates case is about 1/2 the size, and it holds it’s shape, so I can easily find it in my purse or bag. If your child has other kinds of allergies and needs different kinds of medications, Allermates makes a variety of cases like the ones below, to accommodate a wide variety of needs, such as asthma inhalers, the Auvi-Q, and more. 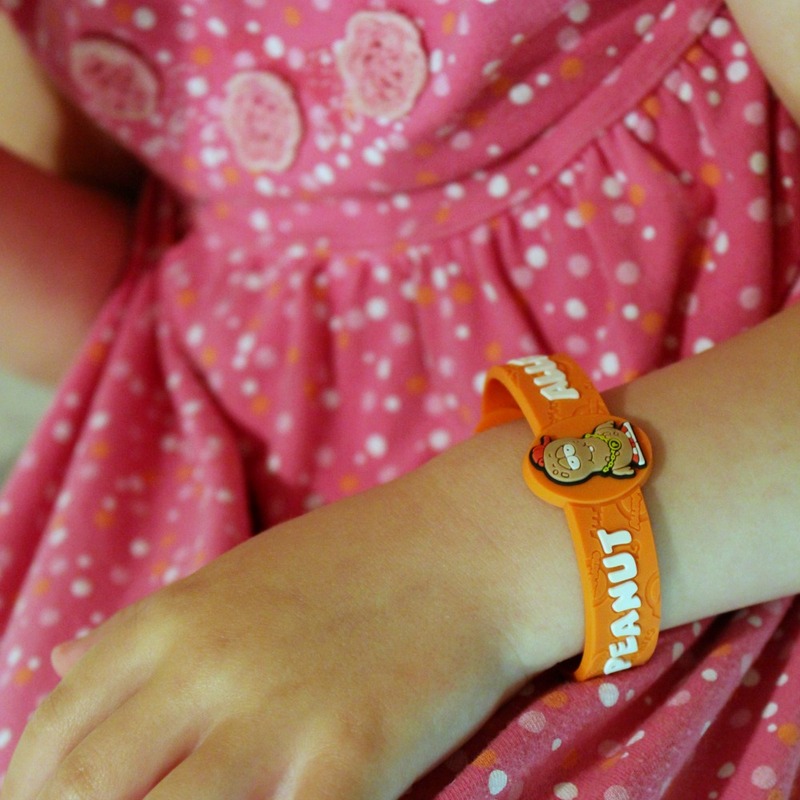 Another great product we tried out was the Allermates Peanut Allergy Wristband. These are adjustable wristbands that come in quite a big variety (including autism, vegan, cats, eggs, pollen). I love that they have really thought of everyone, and there is a write-on wristband as well. I can’t tell you how many times I have been so worried when I cannot be there to supervise her eating around others. The bracelets are BPA, phthalate, lead, nickel and latex-free. They are comfortable and it fit my 3.5 year old comfortably. It is durable and I love the flexible material which is also easy to clean. Recently we were at a pool party and I realized my daughter could wear her bracelet right in the pool! Allermates is a great company that has really helped alleviate a lot of the stress and worry that I deal with when it comes to allergies. 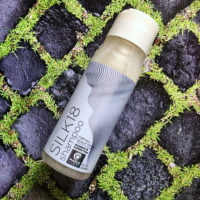 I highly recommend the products I tried and I’m looking forward to trying others as well. Visit Allermates online at www.AllerMates.com. Not only do they have a wide range of products from coloring books to lunch bags, they have lots of great resources for parents from tools to allergy information. Follow them on Facebook, Twitter, YouTube, and Pinterest. You can purchase directly from Allermates, or you can find their products through the store finder at stores like CVS and Walgreens.